Whilst pregnant with her third child in 2001, Marie-Chantal founded our designer childrenswear brand, focusing on her love for classic and timeless designs. Known for years for her characteristic style choices, it is this passion that influences and guides each season’s collections of luxury baby clothes and our designer kid’s clothes. 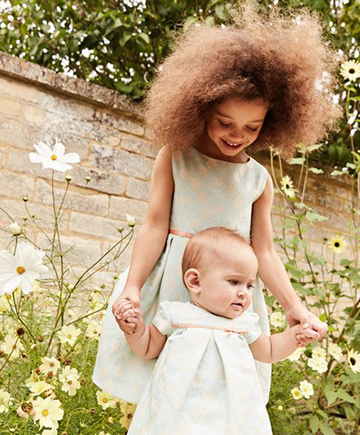 Marie-Chantal’s modern, contemporary style combines traditional silhouettes with a playful twist, creating wonderful, unique baby, toddler and children’s boutique clothing. Marie-Chantal’s personal style and distinctive design point of view influences every collection we create in our London Notting Hill studio.